MSA is issuing this User Safety Notice due to a potential safety issue involving 30 ft. / 9 m. Workman SRLs. We apologize for any inconvenience that this may cause. We have determined that a small percentage of Workman 30 ft. / 9 m. SRLs manufactured from January through August of 2015 may have an improper brake nut torque setting. This condition is not detectable when performing the normal pre-use inspection procedure. SRLs with this condition may not arrest a user’s fall or may not arrest it within the specified maximum arrest distance. There have been no reports of incidents attributed to this condition, but we ask for your immediate assistance in allowing us to replace all affected SRLs. Please contact MSA as indicated below to schedule the replacement. Continued use of SRLs within this date range is also possible on a temporary basis provided they pass a one-time special inspection. They must also meet all normal inspection requirements laid out in the user instructions. Since the long term impact of this condition could result in degradation of performance that is not detectable by the user, it is important that you remove these units from service sometime over the next several months, but no later than April 30, 2016. Please contact MSA if you would like more information on this special inspection. No other SRL models or dates of manufacture are affected by this notice. To obtain replacement SRLs for affected units, please complete the attached order form and email it to MSA Customer Service at the address indicated below. You will need to identify on the order form the model number and serial number of the SRLs that you are replacing. 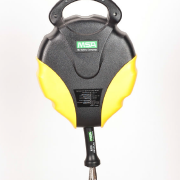 MSA will immediately ship the replacement SRLs to you free of charge. It is important that you immediately mark all affected SRLs “UNUSABLE” and then discard or return them to MSA, unless they pass the special inspection. SRLs that pass the special inspection may be used until April 30, 2016, but then must be marked “UNUSABLE” and discarded or returned to MSA. Please cut the cable on any SRLs that are discarded to ensure that they cannot be used. Please note that the replacement SRLs may also have a “date made” from 01-2015 through 08-2015, but include yellow tamper evident paint on the exterior housing screw heads near the handle, as shown in the photo below. These SRLs are new units that were factory upgraded to include a new brake assembly and are acceptable for use. • U.S., Canada, or U.S. Territories – 1-866-672-0005 or by email at: ProductSafetyNotices@MSAsafety.com. Again, we apologize for any inconvenience that this situation may cause; however, your safety and continued satisfaction with our products is most important to us.